Nike Air Jordan 11 Concord Size 9 Space Jam XI Retro 378037 003 Galaxy. Condition is Pre-owned. Shipped with USPS Priority Mail. Description says size 11 but they are a size 9 as shown in box photo. Original everything. Nike Air Jordan 11 XI Retro Low RE2PECT Derek Jeter Respect Size 11 VNDS. Condition is Pre-owned. Shipped double boxed with USPS Priority Mail to Confirmed PayPal USA addresses only..
Nike Air Jordan 1 "Galaxy" - Patent Leather. 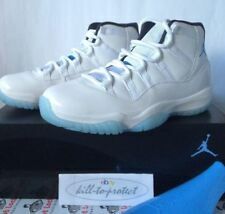 Air Jordan 11 Win Like 82 Size 11 XI Retro Midnight Navy Blue White . Condition is New with box. Shipped with USPS Priority Mail. Nike Dunk Hi High Supreme Spark Destroyers Pack Black sz 10us 349710-101. Condition is Pre-owned. Shipped with USPS Priority Mail. 2010 Men's Nike Air Jordan Spizike High Sneakers Sz 11.5 Black/Red 315371-001. Condition is Pre-owned. Shipped with USPS Priority Mail. 100% Authentic Nike Air Jordan 11 Retro "Space Jams" Size 10.5 from 2000 Black/Varsity Royal-White -pre-owned-. Original black laces have been swapped out for white laces from another pair of original Jordan 11's. 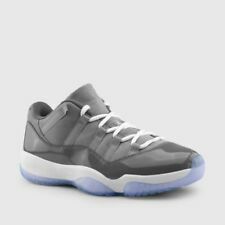 Men’s Nike Air Jordan 11 Retro “Space Jam” 2016 in Black Concord & White color-way, 378037-003 NWB Size 15. Condition is New with box, box is missing lid. Shipped with USPS Priority Mail, 100% authentic guaranteed, direct from Nike. Please feel free to inquire, thank you for looking! 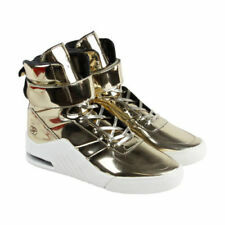 New ListingMens Converse Chuck Taylor Patent Leather Hi Top Shoes. Size 10. Nice! Mens Converse Chuck Taylor Patent Leather Hi Top Shoes. Size 10. Great Condition!!! Condition is Pre-owned. Shipped with USPS Priority Mail.